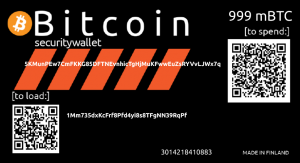 Physical bitcoins are particular types of Bitcoin wallets. With them, you can store your bitcoins more safely or use them for offline trading. Physical bitcoins hold the coin’s public address and a hidden private key. The intention with physical bitcoins is that you cannot spend the value of the coin as long as the private key remains a secret. This we achieve through the use of a tamper-evident seal. The earliest physical bitcoin, the Bitbill, was shaped like a credit card and was followed by the Casascius physical bitcoin which they affixed to a round medal. As of Nov 27, 2013, Casascius has suspended sales of items that contain digital bitcoins due to the strict regulation of United States. Since then, there have been several new coin manufacturers, and one of them is Denarium Bitcoin. PrintCoins is creating cheques and denominated bills. At this moment, however, Denarium is the only physical bitcoin producer that has gold physical bitcoins in stock. 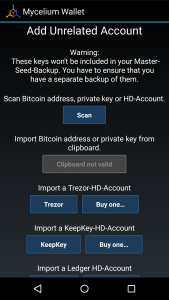 This article guides you through importing bitcoins from any paper wallet or other cold storage wallets like the Denarium bitcoin wallet. You can use mobile, web or desktop wallets in the process and any wallet that offers the possibility “import private key” for this process. At the end of the article, however, we share details about several wallet options which you can use. Only import bitcoin once from denarium bitcoin wallet or paper wallet. You can add funds to your paper wallet or other physical wallets as many times as you like. When importing the bitcoin, you should do it all at once as a safety protocol. 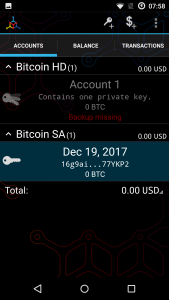 The moment you import your private key into a mobile wallet or computer your paper wallet’s security will be less secure. In most cases, information about your private key will remain in the device after your import. 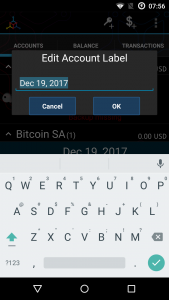 Mycelium mobile wallet offers reasonably safe possibilities for partial spending. Mycelium automatically deletes information about the private key from your phone shortly after the import. So this means that your private key can only be compromised, if your phone is hacked at the moment, you do the import. The most convenient method for importing funds is to use a private key QR-code. These instructions focus on this option. 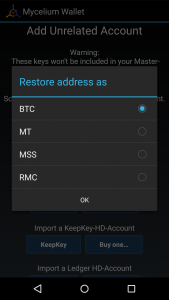 Some wallets support only imports with the private key in text format. Typing your private key requires little effort. Do not worry about misspelling something. You cannot withdraw your funds until you type your private key correct. Here are some trusted wallets we have tested. Blockchain.info Web wallet Yes Yes Yes ? 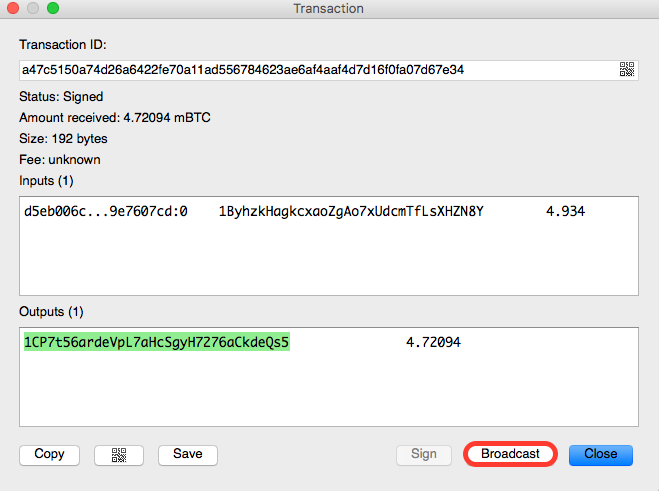 Using a web wallet for spending cold storage bitcoin requires a decent web camera from your computer. We recommend using Firefox or Opera as web browsers for the process. Other browsers may not work or require extra effort. 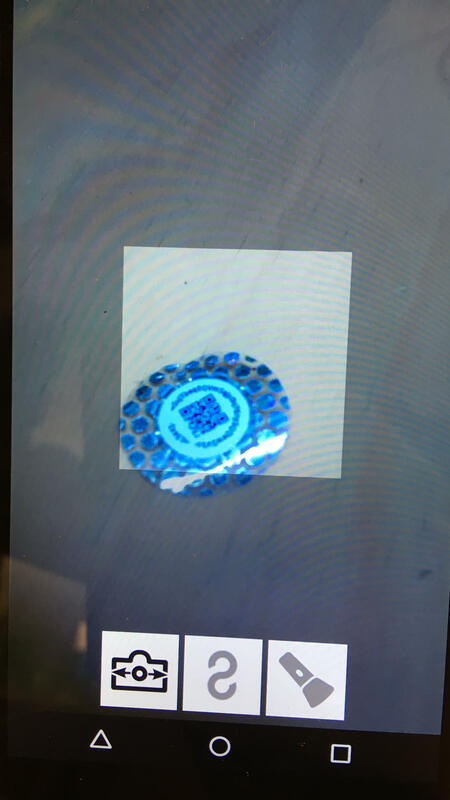 Scan the private key QR-code from your cold storage. After scanning the QR-code choose “transfer.” Now your funds from the paper wallet transfer to your blockchain wallet. You can import regular private keys and mini private keys to blockchain.info wallet with the same process. If your wallet is BIP38 encrypted blockchain.info asks you to type your passphrase to complete the transfer. A step by step guide with Breadwallet (iOS). 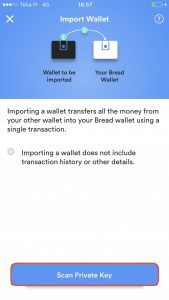 Breadwallet is mobile wallet which functions on Android and iOS devices. 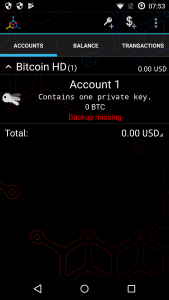 It supports both private key and mini private key QR- codes. Breadwallet doesn’t support importing from wallets that are BIP38 encrypted. After scanning Breadwallet shows the available funds in your cold storage and asks you to confirm the transaction. Press “confirm” and the funds will be imported. 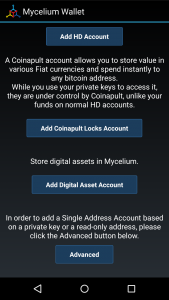 Mycelium is a mobile wallet which functions on Android and iOS devices. However, with Mycelium iOS version there are some limitations (see the table). Mycelium gives you probably the safest option for spending a chosen amount from your cold storage because your private key will be stored on your phone only temporarily. When importing funds to Mycelium, you, please select the option “use all funds” which withdraws all funds from your wallet. If however, you wish to import only a partial amount you can fill in the amount you want to import as well. 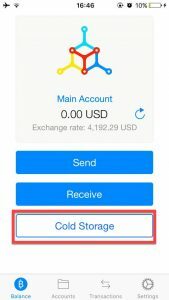 Choose “Cold Storage” from your Mycelium wallet and scan your cold storage wallet private keys QR- code and so import chosen amount of bitcoins. 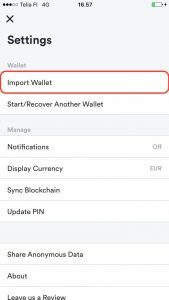 Unfortunately, Apple’s iOS version of the Mycelium wallet doesn’t support mini private keys at the moment so importing from Denarium bitcoin wallet is not possible on an Apple iOS system. 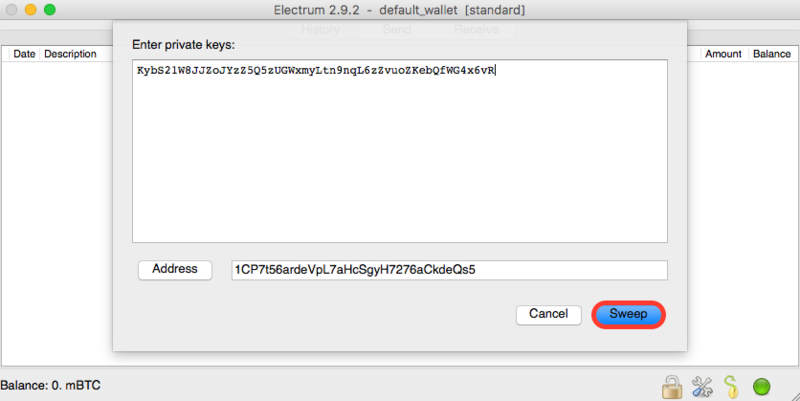 Electrum doesn’t support scanning QR-code with Mac or Windows. Open “wallet” menu. “Enter private keys” window opens up. Keep the shown receiving address unchanged. Type here your private key to sweeping all funds from your cold storage. Choose “Broadcast” to complete the import.